Roary, this adorable Dreamy Eyes stuffed lion, is ready for hours of fun and adventure along with lots of cuddling and snuggling. Plush Roary Lion has soft tan fur, fluffy rust mane and tail tuft, and big sleepy brown eyes in an oh-so-sweet smiling face. Standing, sitting, or just flopping down, there's no need to worry about what to feed this stuffed lion... this plush lion's huggable tummy feeds only on love. This cute little lion plush keychain has soft bright yellow fur, white accents, and a fun purple loopy mane. 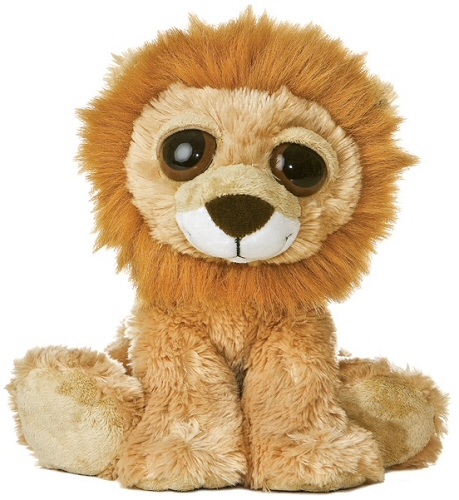 This sweet Lil Buddies plush lion is cute and cuddly with soft tan fur and fluffy mane and tail tuft. Add a fun splash of circus fun to your child's room with our adorable circus lion fabric wall art. Create an awesome zoo or safari atmosphere with this amazing customizable Lion fabric wall art.